Vintage Christmas decor. 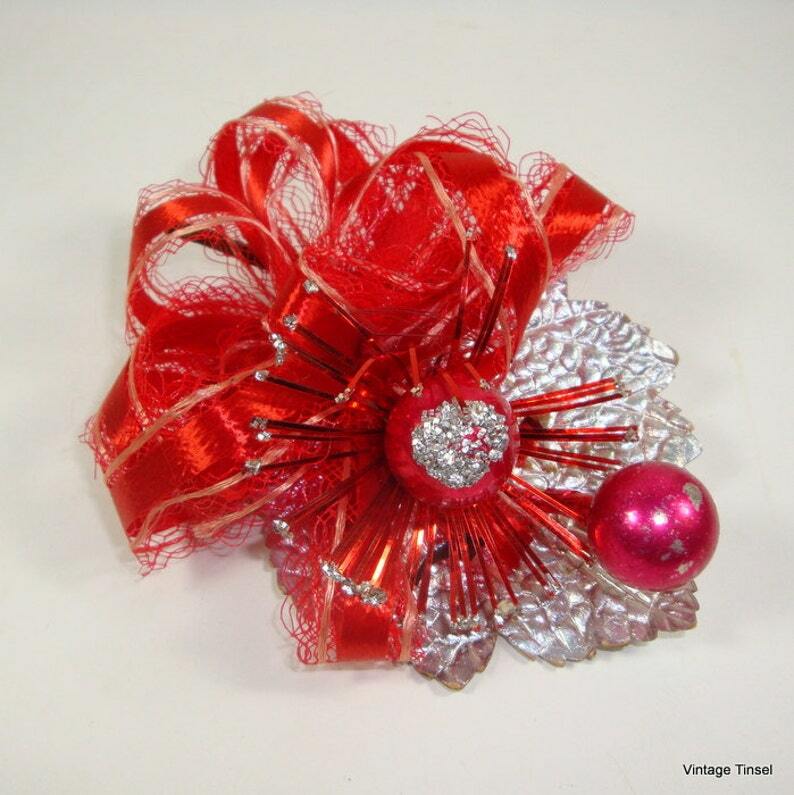 Can be used as a package decoration or as a corsage, just add a corsage pin to the stem on back. . Ribbon is red, although looks slightly orange in photos. Leaf is a metallic silver. Two glass balls. Overall, in good used vintage condition. Ribbon is full and fluffy, no mashed. The balls do have some chipping of paint. Measures about 4 1/2" long, 3" wide. Questions? Please ask! Your idea of acceptable vintage condition and mine may differ. More corsages? I"ll gladly combine your shipping and I do ship worldwide.